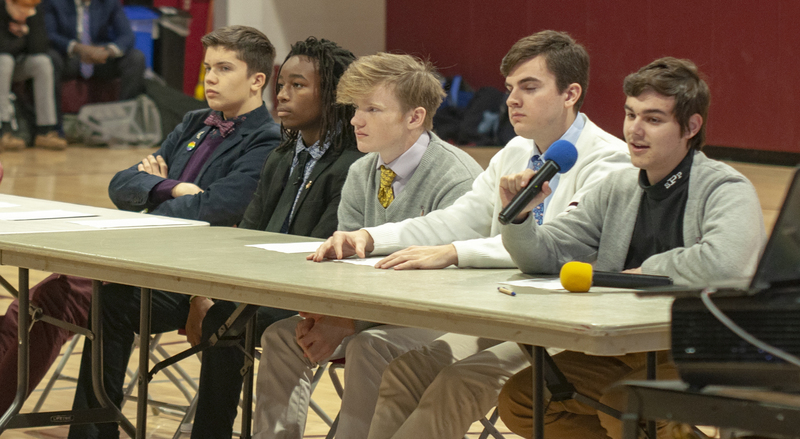 Last Friday, freshmen and sophomores heard from five current seniors about their travel experiences in Prep’s various global education programs. The upperclassmen shared insights as to why they chose to take part in these global opportunities, as well as their sincere and honest observations about their experiences. 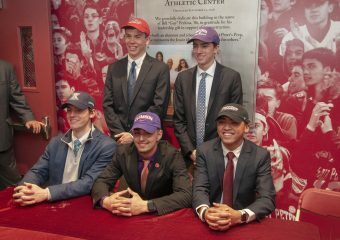 Topics included surprising discoveries in their travels, and advice to underclassmen looking to make the most of Prep’s global offerings. The panel was hosted and moderated by Prep’s Director of Global Initiatives, Mr. Tom Powers of the Modern Languages department. 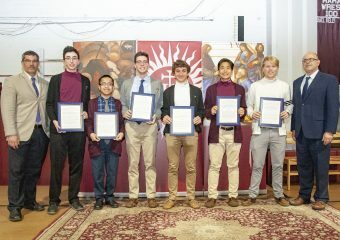 Pictured above are the panelists, left to right: Desmond Luck, Jaiden David, Ryan Emma, James Anderson, and Timothy Georgetti.